At Creative PlayScapes you will receive professional support for all phases of your project: From consultation to construction, we will gladly take care of your concerns. Playstructures – The Composite Playstructure is the focal point of the playground. Our Playstructures combine stairs, climbers, slides, fitness events and interactive play panels into a custom designed unit to meet the specific needs of your playground. These units are modular and can be infinitely customized to meet certain age group criteria, or challenge levels. Fitness Units – These units combine overhead climbers, ladders, balance pods and beams, and colorful climbing walls into a looped play area. They are very popular with children who want a more physically challenging play area. The units are often set up in a lineal fashion as an obstacle course and are many times dual tasked into use for physical education classes. Free Standing Play Elements – We offer many smaller individual play elements to populate the playground including, funhoop, teeter totters, swings, crawl tubes, ground level play panels, musical play items, sand and water toys, and the ever popular spring riders. Whether you are populating a new playground or just want to add some new smaller elements to your existing play area we offer many creative and imaginative options. Site Furnishings – We offer all the elements you need to furnish your site and play area. We have a complete line of benches, tables/chairs, receptacles, grills, and sports equipment. If it goes outside, we usually have a source for it. Safety Surfaces – With our extensive construction and safety training we are your playground surfacing experts. We offer all types of surfacing to meet your specific needs and budgets. Whether it’s a basic playground wood fiber carpet, artificial turf, or rubber surfaces, including rubber mulch, PIP (pour in place consolidated surfaces). 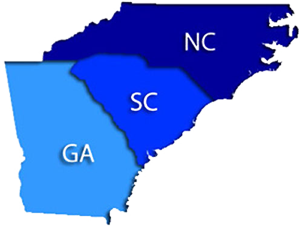 We can run cost assessments based on your site conditions, and budgets. We can study life cycle costs of the options and help you decide on the right system for your site. Shade Structures – With the increase in awareness of the impact of the UV rays on our children, shade on the playground has become a necessity. We offer the finest line of shade structures available in the business in a multitude of shapes and endless colors. The shades offer protection from the sun, rain, and lower ambient temperatures in the play area. 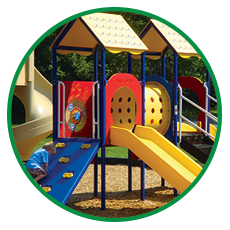 Shades over playstructures increase the play value, eliminate the risk of contact burns, and ultimately extend the life of the equipment. Dog Parks – In the US nearly 40% of households have dogs. Play areas for our four legged friends have become increasingly popular in public places. Our dog parks offer agility training and climbing activities, and give pet owners a place to meet and commune. A fenced, designated dog play area offers serves several practical advantages. Keeping dogs contained reduces liabilities, keeps dog waste in a contained manageable area. The dog park if properly designed gives a “pet-friendly” perception, and serves as a marketing tool when attracting residents to a community.